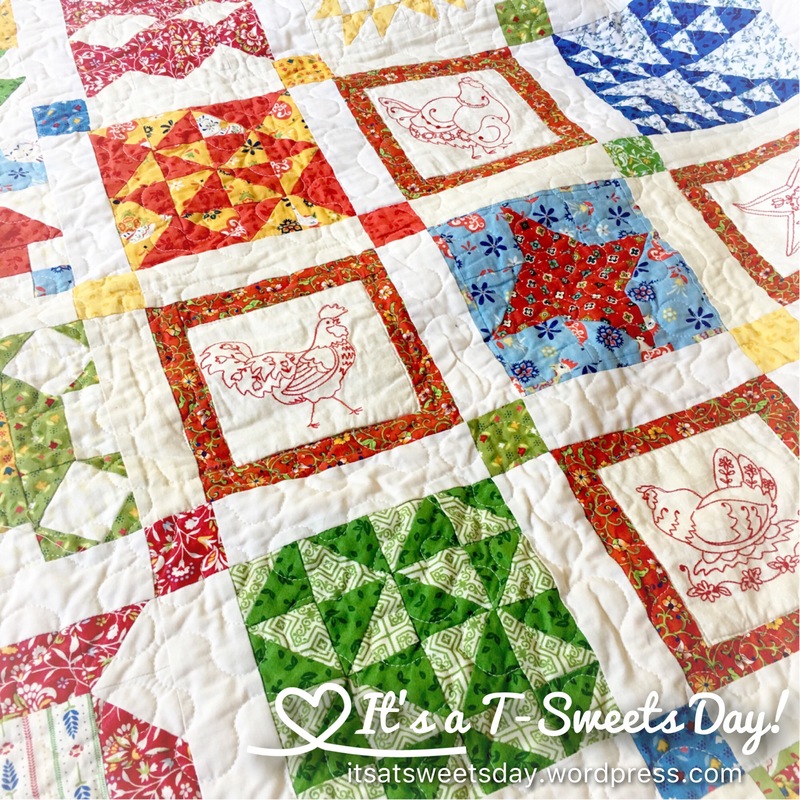 My Farmer’s Wife Quilt – It's a T-Sweets day! 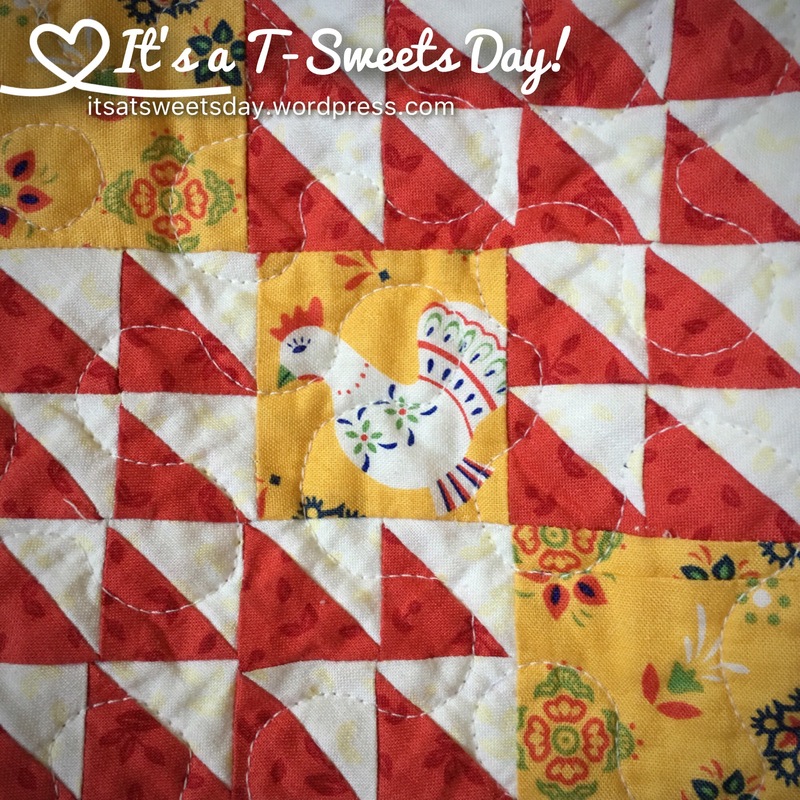 Published on October 17, 2016 October 17, 2016 by Tracy @ It's a T-Sweets Day! 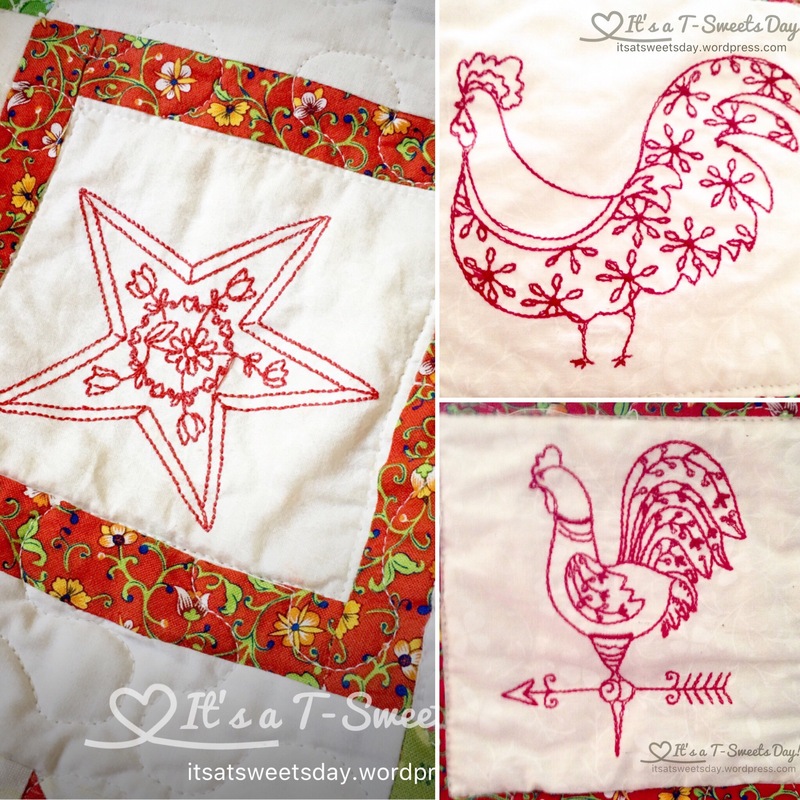 I found a darling chicken and stars embroidery pattern to help calm the blocks down a bit and add a bit more to the theme. I love the red work. I have a funny story about this quilt– I give a lot of my quilts away, but this one took so much time and effort that I kept this one for my enjoyment. It is large enough to snuggle under, but not so large that I can’t throw it in the car and go. I keep it in a large basket by the door as decoration and for ease of grabbing to take along when I go out. Last summer, I went to use my quilt, and it was gone! All of my other throws were there, but my precious Farmers Wife Quilt was gone. 😦 I called my sister and others who may have picked it up accidentally, but it could not be found. I was sure that it had walked off with someone. I figured they had good taste and picked the best one! Oh well, I guess I’ll make another…. Then my #2 son FaceTimed me from back east where he was working for the summer. 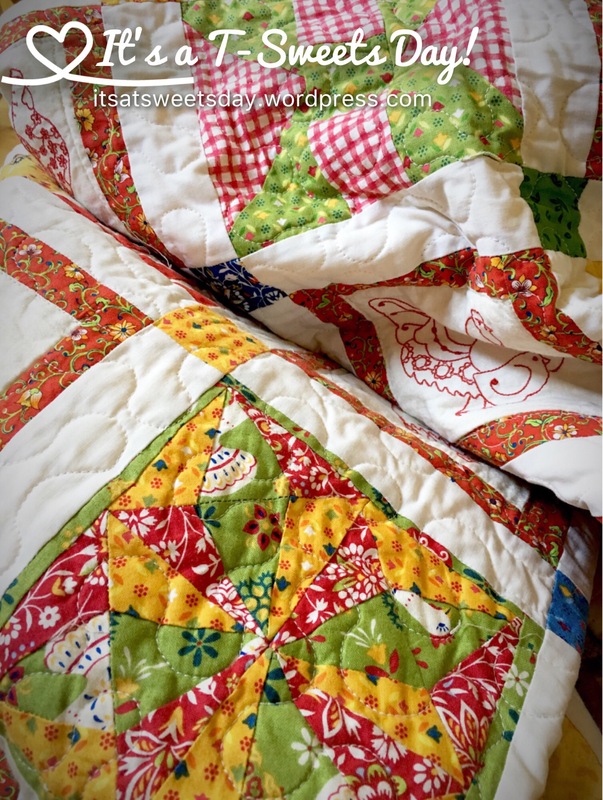 And you guessed it–there on his bed was my beautiful quilt! This is the same son who took my silk quilt out to the bon fire! That little stinker!:). 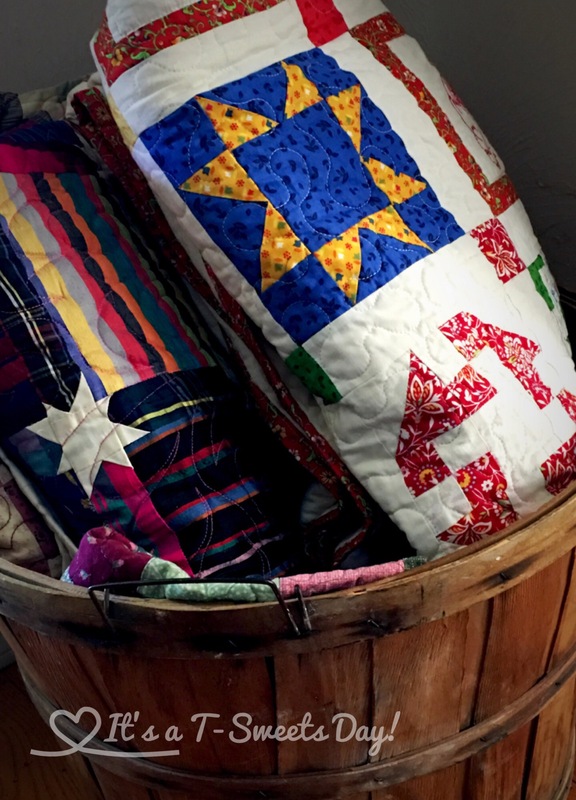 What a sweet story about your son and what a beautiful quilt!